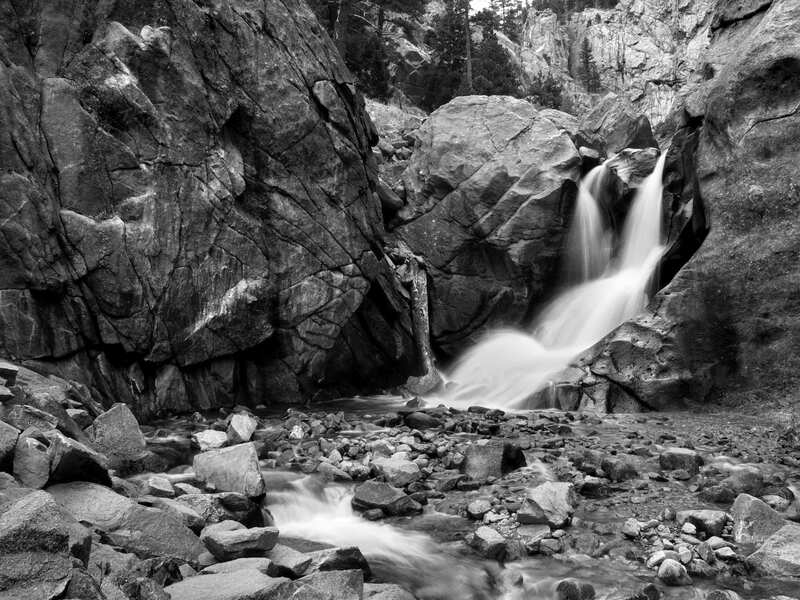 [Boulder Falls, Colorado. 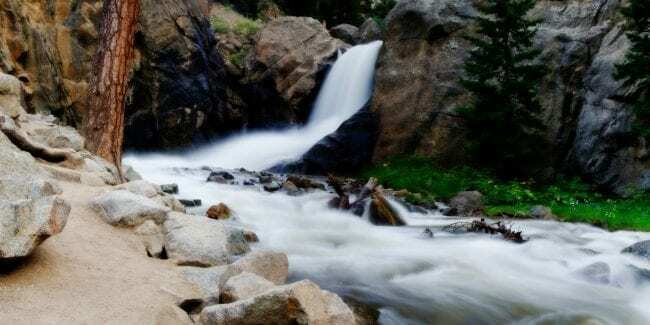 Photo: Max and Dee Bernt] Boulder Falls is a stunning waterfall that makes a perfect day hike for those around the Denver Metro. 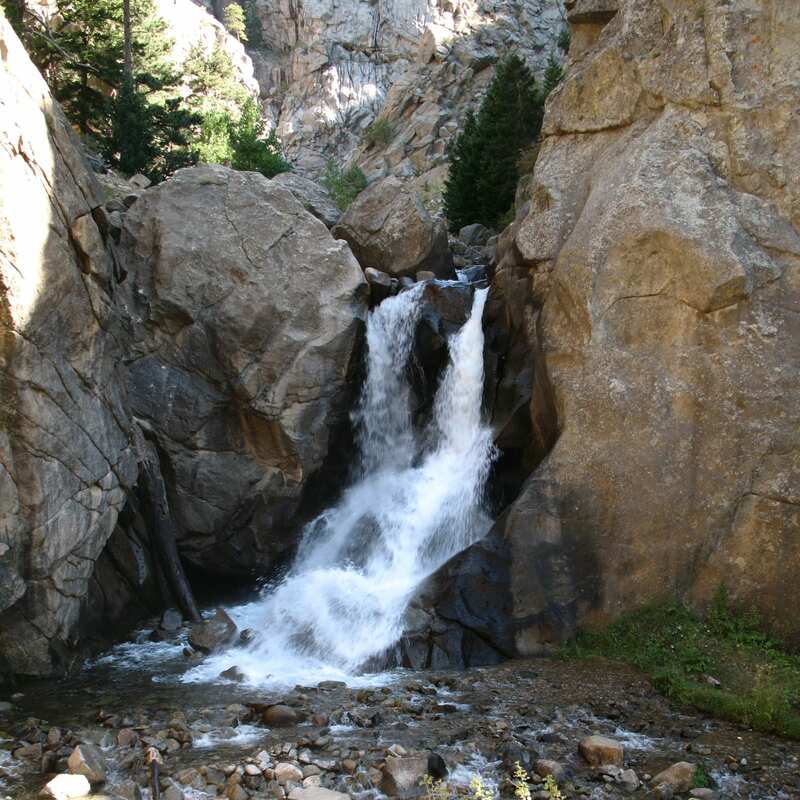 It’s located in Boulder Canyon about 9 miles west of downtown Boulder. From the parking area, it’s a mere 300 feet hike to the dashing waterfall. 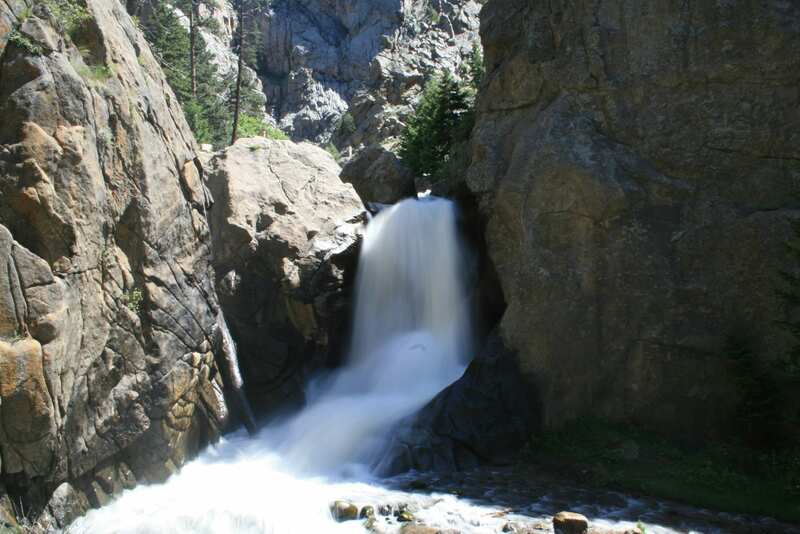 It’s one of the closest waterfalls to Denver, making it one of the more popular area hikes. 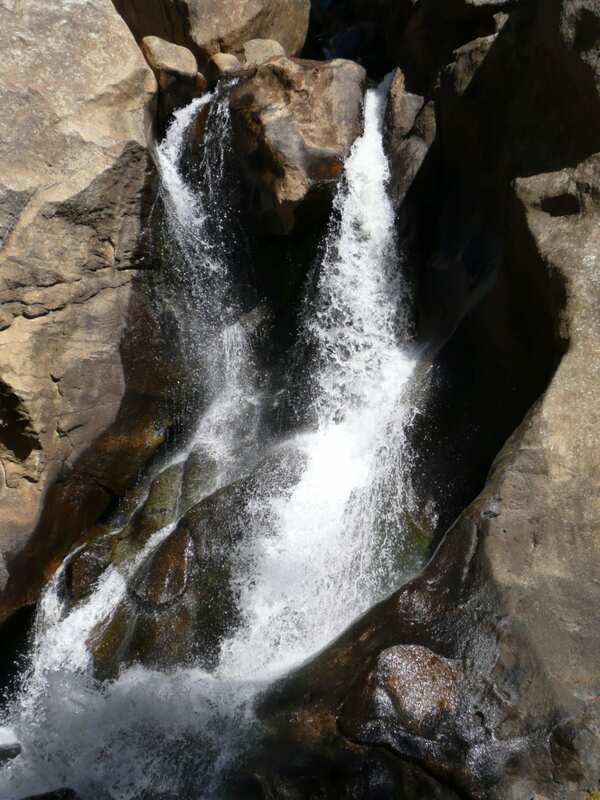 The cliffs of Boulder Canyon and ponderosa pines surround you on the short hike to the 70-foot high Boulder Falls. The narrow out-and-back style hike is suitable for all ages and abilities. It is a spring to fall hike, as it’s closed November 1st through April, reopening on May 1st. Dogs are permitted on-leash, however, it can get busy on the skinny trail, so keep in mind. The parking lots holds around 15 cars, so come early to secure a spot. The hiking trail does combine with other local routes, including Forsythe Canyon, Betasso Preserve, and Mt. Sanitas. Sunny day at Boulder Falls.